Images of the band are multiplied in a kaleidoscopic display to form a moving statement on human connections. 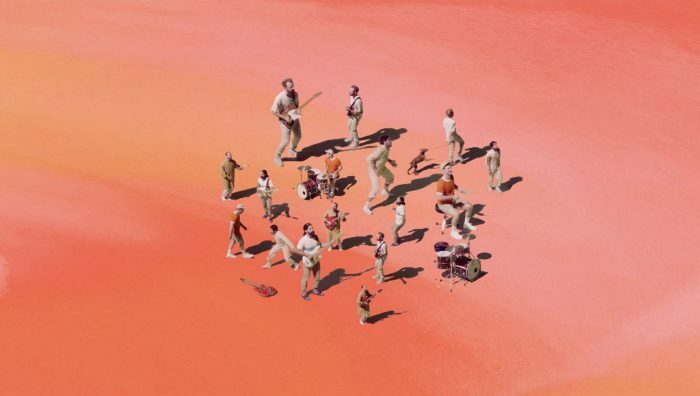 New York City— Indie rock sensations Young the Giant appear as tiny dancers moving in gracefully undulating patterns in their new music video Simplify. Conceived and directed by Kyle Sauer and produced by Derby, the video marks the band’s first release since their 2016 breakout album Home of the Strange on Atlantic Records. Atlantic Records is using elements from the production in a marketing campaign support the band’s current tour and forthcoming album. The campaign includes GIFs and other social media content inspired by the video.